We've bundled together our three popular products for teenagers and cut the price on the combination. The Money Savvy Teens Bundle contains the Cash Cache Beginning Personal Finance Organizer, the Official Money Guide for Teenagers book and the SafeCard with PurchaseTracker. The Cash Cache Beginning Personal Finance Organizer is designed to teach teens the skills that they will need to get and stay on target towards a bright financial future. It is packed with basic personal finance information and tips written for beginners. Designed to help teens establish and work towards life goals that will require funding at some point, it demystifies the world of banking, investing and credit. Best of all it, empowers the user with an appreciation for delayed gratification and helps keep finances and financial documents organized. The Official Money Guide for Teenagers is a comprehensive book on personal finance written specifically for teenagers and full of valuable information collected from financial experts. Use it to get the money talk started with your teen. Full of helpful, informative graphics and charts, the format of this book makes the subject matter easily accessible for teenagers. Includes essential tips to help teens avoid those "awkward money moments." The information in this book will help young adults form good financial habits that will serve them well the rest of their lives. The SafeCard keeps your favorite cards secure and always at hand. 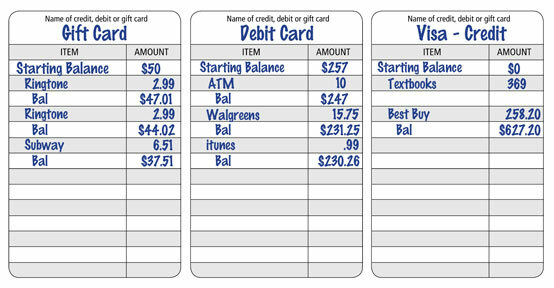 And teens can easily keep track of what they have spent on each card with the included mini registers. 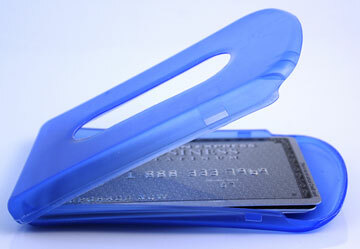 Holds up to five cards, including credit and debit cards, drivers license, student IDs or key cards. With the push of a thumb cards easily slide out or in. You can also tuck in folded currency or even a house key. Slips easily into a front, back, side or shirt pocket. Everyone who carries one absolutely swears by it!